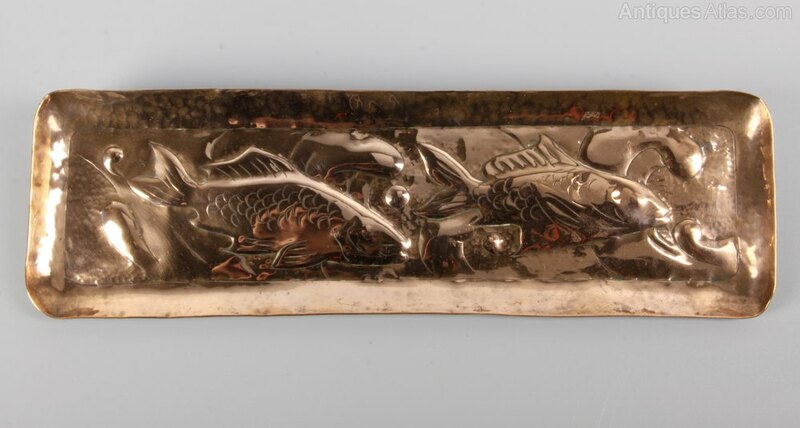 A lovely Newlyn copper pen tray, decorated with two fish amongst weeds. Dating to circa 1900 it is in good condition, commensurate with age, and measures 26.5cm long by 8cm wide. It is unmarked, as many earlier pieces were.